Who doesn't like a little sparkle? 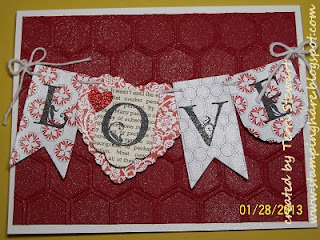 I finally found a minute to post a video I made showcasing one of the cards from my Valentine card class a few weeks ago. 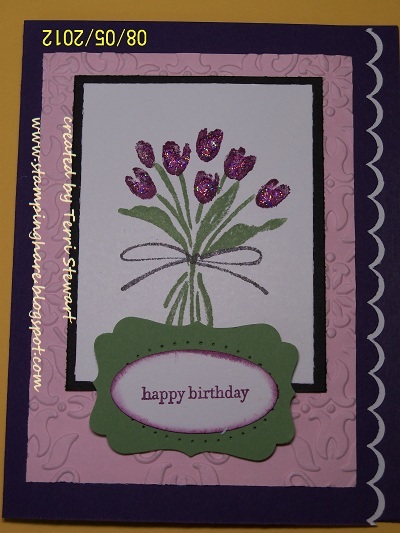 This lovely card features several new products found in Stampin Up's 2013 Spring catalog and other itens from the annual catalog---the new items are the Hearts a Flutter framelits and the honeycomb embossing folder. Drop me a line if you would like a copy of either catalog. 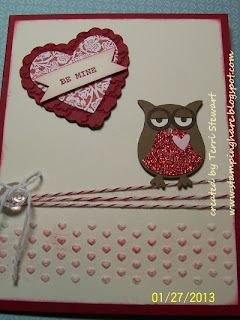 I have a new video to share with you of a super sweet and easy owl valentine card. 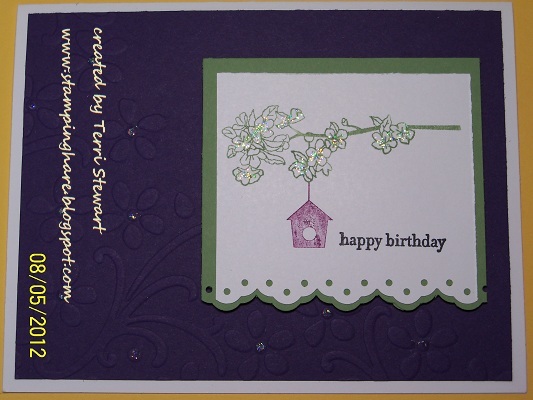 It features Stampin Up's (SU) owl builder punch and a few other cool SU products. 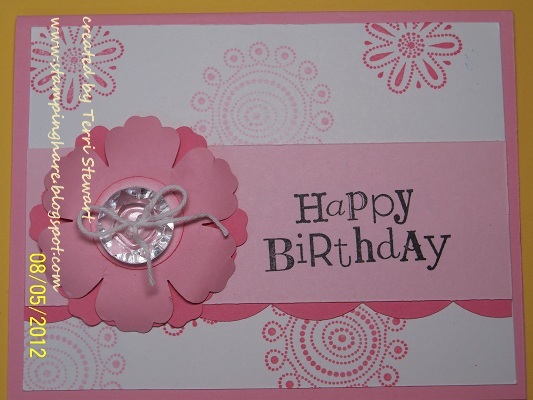 Although I designed this card with valentine's day in mind, I think it could easily be changed to an anniversary card by changing the sentiment banner on the heart. What occasions would you use use this card for? 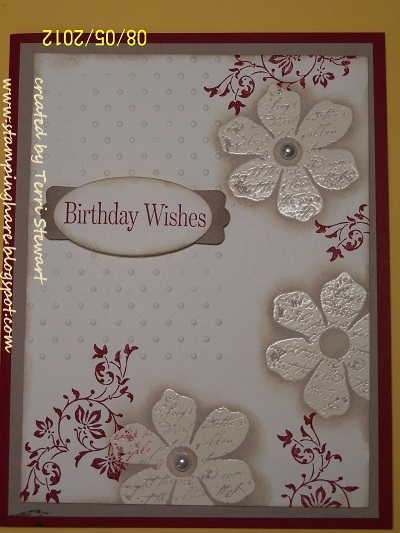 I'd love to see your card---please share! I just finished a fun project and I think you will love it it as much as I do. 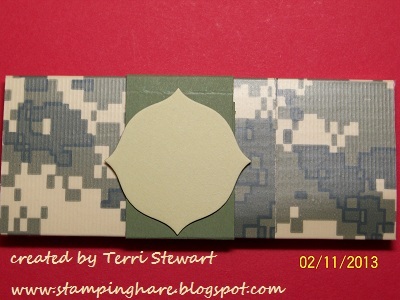 A friend asked me to help her design a valentine chocolate bar wrapper for her 11 year old son to give to his friends---the fun part is he wanted to use camo print. She supplied camo print duck tape, the idea for a chocolate bar wrapper, and asked for my creative help in making it come to life. 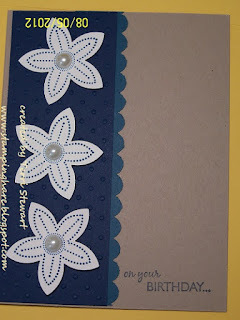 I love being a creative coach! 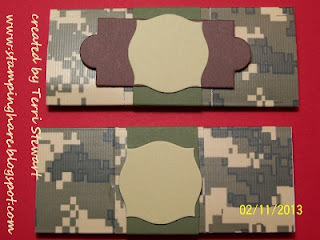 How to finished the belly band? Use the Apothecary label framelits of course! 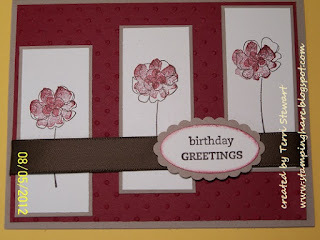 Maybe without the chocolate chip cardstock label? With and without the chocolate chip labe--which do you prefer? 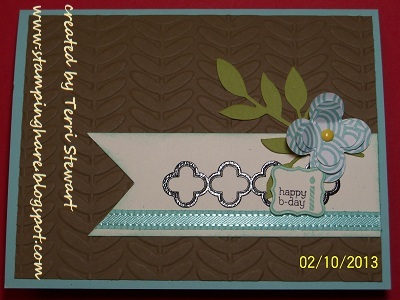 Or maybe put the river rock cardstock label on an angle? I left the center label open so he can write the recipients name on it. 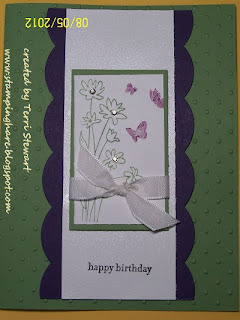 I am going to show her the various ways the label can be used and let her son decide how he wants to finish the project. 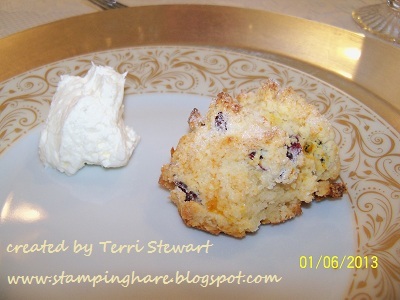 So how did I make these marvels? I cut white cardstock 6 3/4" x 5 1/2" then I covered the cardstock pieces with the camo duck tape. I scored along the long side at 2, 2 1/4", 4 1/2, and 4 3/4". 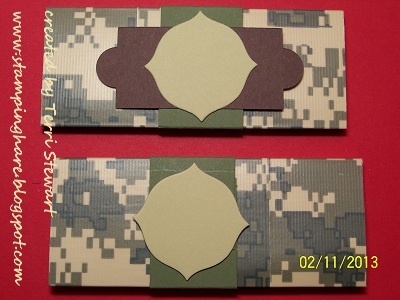 For the belly bands I cut the cardstock at 1 1/2" x 6" and scored at 1 5/8", 2, 4 1/4", 4 5/8"
If you do not have a local demonstrator, I would love to have you select me for your Stampin Up demonstrator (& creative coach). Thanks! 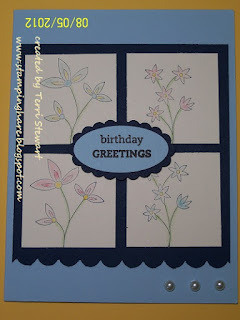 Some stamping news to brighten your day.....Enjoy! The monthly hostess stamp club will meet this Tuesday, February 12th at 7pm at my house. 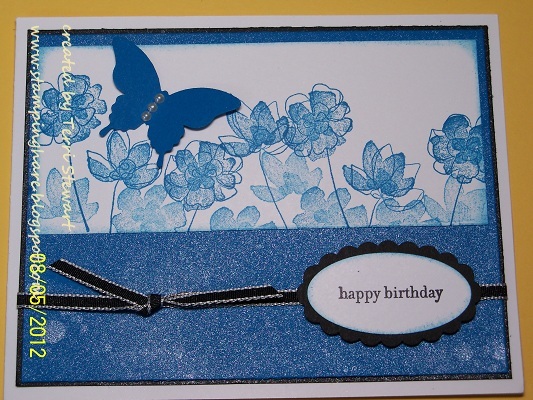 Each month you'll learn new techniques and get to play with the latest and newest Stampin Up products. 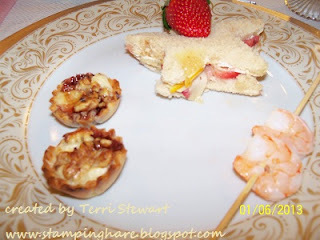 Club members commit to placing minimum $25 order each month and in return get hostess benefits (minimum $25 FREE products) once during the six-month club. 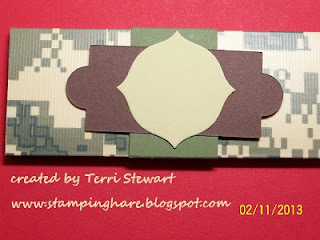 This is a great way to slowly build up your crafting supplies. Upcoming club dates (all Tuesdays): February 12th, March 19th, April 16th, May 21st, and June 18. SPACE is limited, call today to reserve your spot! Schedule uncertain? Can't committ to a monthly club? You can attend any club meeting on a space available basis and pay a $10 tuition fee (or FREE with a minimum $25 order). RSVP needed each month to confirm space available. 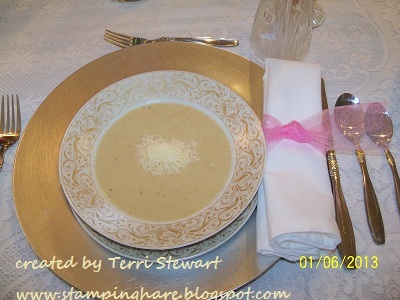 Here's a sneak peek of one of the February club projects. It features several FREE sale-a-bration items -- sycamore street dsp, sycamore street ribbon, Madison Avenue stamp, pretty petites stamp, vine street embossing folder. Contact me today to RSVP your club spot! Easter card class on Tuesday, March 5th at 7pm. 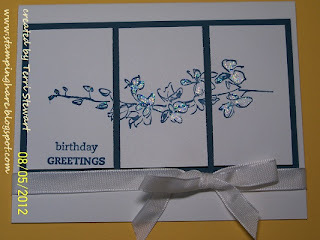 Make 4 cards, 2 each of 2 designs. Tuition is $10 (or FREE with a minimum $25 order). Call today! 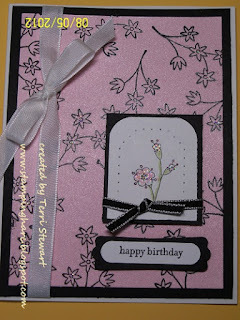 Birthday card class on Tuesday, April 2nd at 7pm. 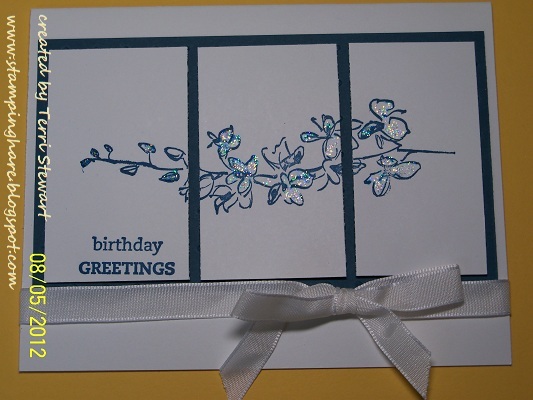 Make 4 cards, 2 each of 2 designs. Tuition is $10 (or FREE with a minimum $25 order). RSVP now! Remember -- stamping experience not a prerequisite to joining the fun! 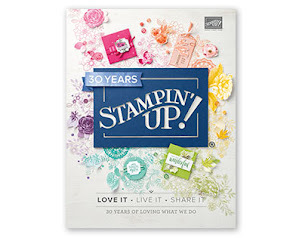 A new limited-time offer from Stampin Up: you can purchase the exclusive Sent with Love Stamp Set or Sent with Love Designer Series Paper-or bundle them for a special 20 percent discount! 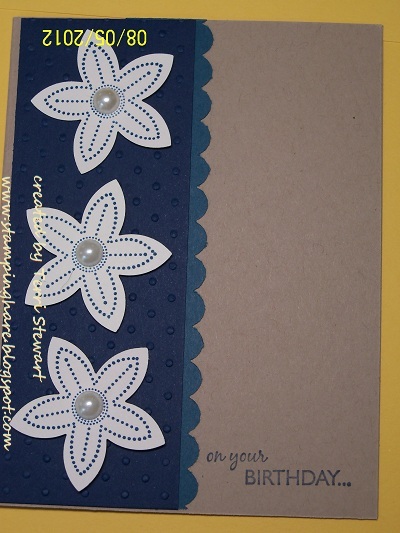 Use the Sent with Love product suite to make an array of travel-themed projects. This offer is available until April 30th. 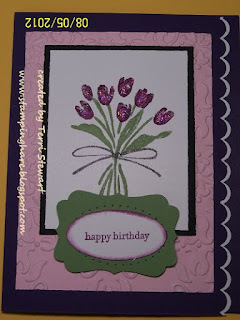 Stampin Up is celebrating it's 25th anniversary this year and they will be celebrating all year. Each month they will introduce another "best of" stamp set containing 6 or so retired stamps from the past 25 years plus a new stamp. 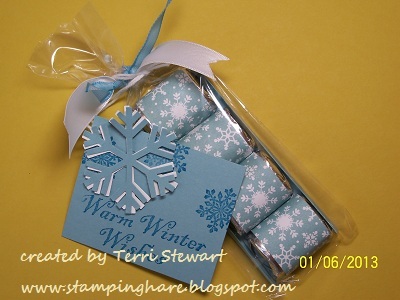 These sets will sell for $14.95 and be available until March 2014. 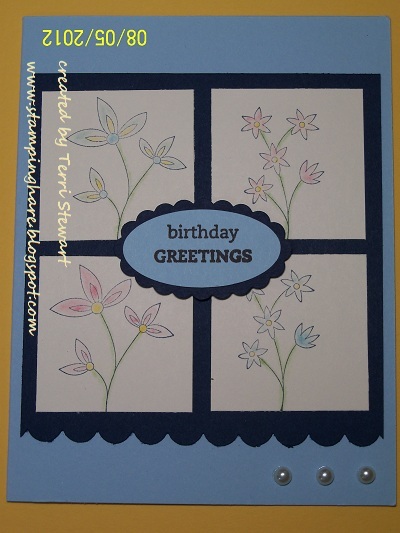 Buy 6 "best of" sets during the year and you can select any $14.95 or less stamp set for FREE! Check out the January and Febuary sets here. I hear they have more cool stuff planned for their anniversary--and I'll be sure to share it with you! Stampin Up is sharing really awesome creative ideas on their new inspire blog -- check it out, many wonderful ideas posted almost daily. Sale-a-bration (SAB) started on January 22nd....it's a great time to get FREE stuff; for every $50 you spend (before shipping and tax) you get to pick a FREE item from the SAB flyer. SAB is a great time to host a stamping party with lots of FREE stuff for you and your pals. 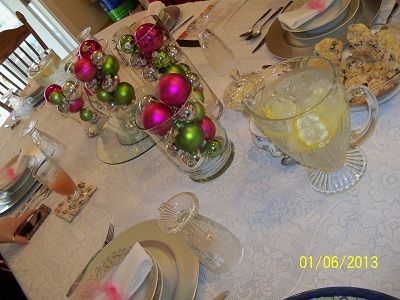 Call today to book your party. Every hostess of a $150 show gets a FREE pack of silver glimmer paper! My home team won the Super Bowl! 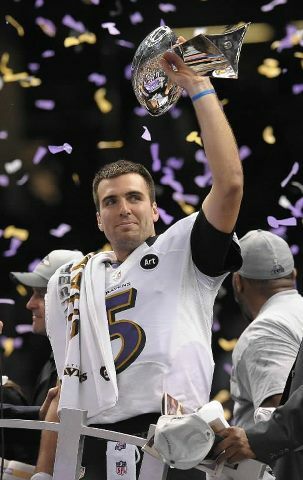 Ravens win it 34-31....and another nail-biter game to boot! Awesome game!!! 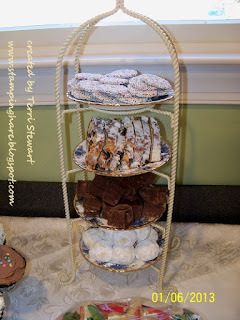 I am fortunate to be included in a group of women who get together for tea whenever one or two or three of them decide to throw a tea party. 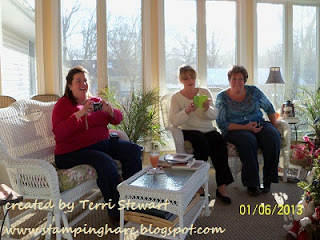 The most recent one was a Epiphany tea held at my friend (& upline) Susan's house. 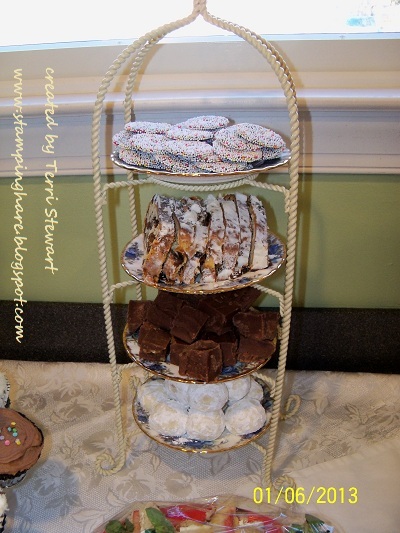 Besides Epiphany, it happened to be Chris's birthday a few days before the tea, so we added a birthday celebration to the festivities. 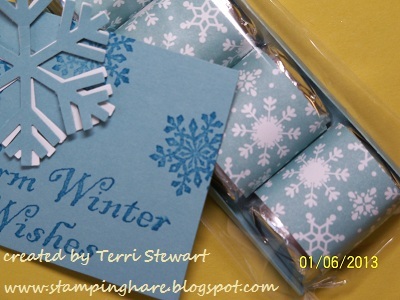 I used the Snow Festival DSP from the 2012 Stampin Up Holiday catalog. These are very easy to make. Cut the DSP to 1"x3", for the tray cut a piece of coordinating cardstock 2"x4" and make a 1/4" score along both long sides. Place the covered nuggets on the tray and then into a pretzel rod bag. It's that easy! Some of our tea pals couldn't make it---some were out of town, ill, or at the Ravens football game (watching them win--Go Ravens!). 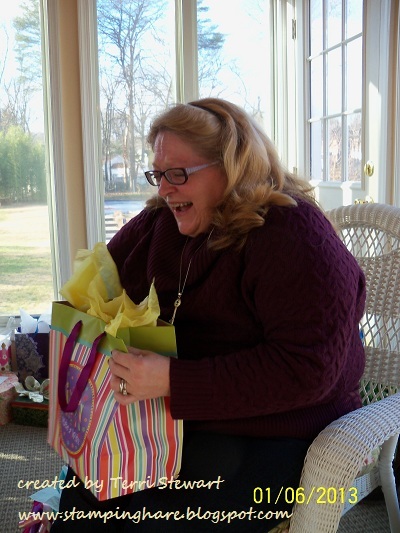 I captured the day with a few pictures and wished I taken more--- like of the birthday pennant banner Susan made for Chris and a holiday door swag Susan also made. Sometimes I am so lame!!!! 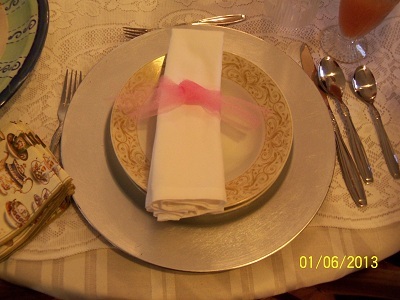 My tea place setting---Susan really out did herself! 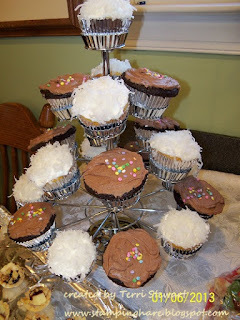 More desserts---these were THE best cupcakes! 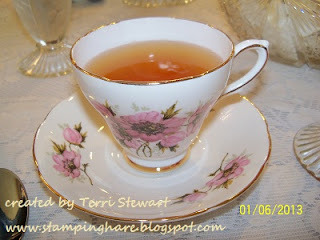 Stamping is fun---and so are tea parties with friends!! One of the services I am happy to provide to my customers is creative coaching. 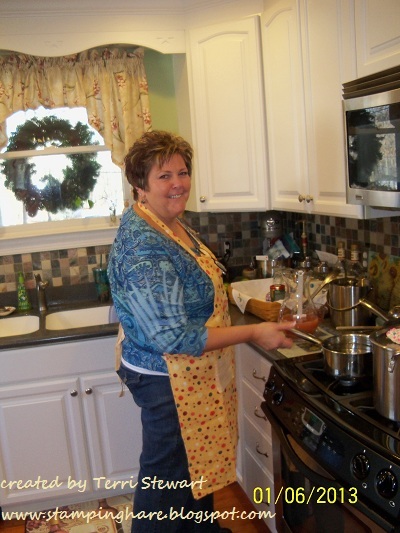 This service worked really well for my customer Gail (who also happens to be my awesome step-mom). 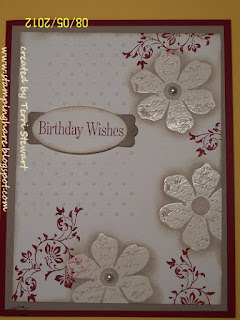 Gail likes to bless her family, friends, and her church family with hand-stamped cards wishing them a happy birthday. 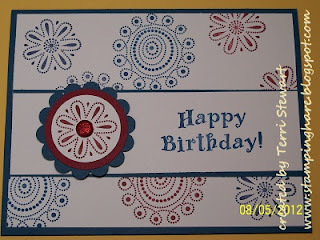 I did some searches on Pinterest and Splitcoaststamper.com and copied several designs; I made the 13 sample cards below. 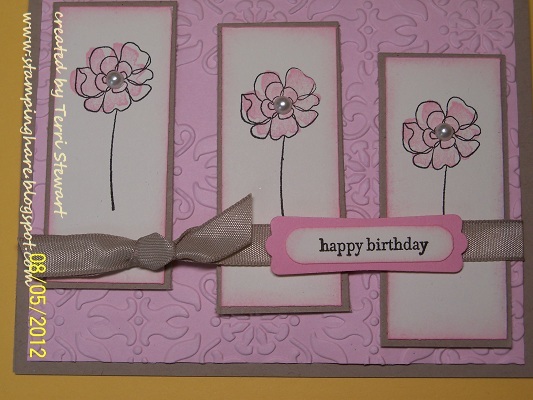 I tried to tailor the samples to cardstock and ink she had on hand but also made them in other color combos so she had options. She then purchased the supplies to make the samples she liked the most. One of Gail's favorite designs; my upline copied this design and I copied hers!